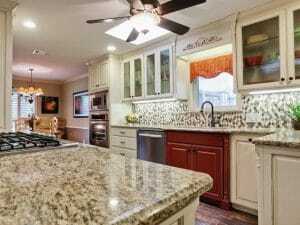 By now you should have known that granite countertops in Dallas are a bit pricey but for a good reason. And in case you did not know yet, these countertops can look and feel good throughout the years as long as they are properly maintained. But really, what is the best way to clean granite? What best practices should you keep in mind to ensure its tip-top condition? Who says you do not need fancy cleaners when it comes to cleaning countertops made of granite? The best way to clean granite in Dallas on a daily basis will only require you three things: mild soap, microfiber cloth, and warm water. Just make sure, though, that your soap does not contain any extracts of lemon or citrus extracts. Why? That is because they are too acidic for your granite countertops and will only be harmful. The best way to clean granite is to mix both water and soap, from there, apply the resulting mixture using a microfiber cloth. As you proceed with cleaning, you must rinse your cloth every now and then with clean water. Through this, you can prevent any suds and grimes from being pushed around the countertop surface. Finally, here is the most important part to keep in mind. Once you are done cleaning the countertop, you need to dry it off using a fresh and dry cloth. Otherwise, you can end up with water stains on the countertop’s surface. And obviously, you do not want to deal with those. When it comes to granite countertops, prevention is still better than cure. First and foremost, these countertops, when stained, are not fun to deal with. Second and more importantly, they can easily take the beauty out of your countertops, and it is only a matter of time before they get totally damaged. So, as much as possible, avoid stains the moment they occur. For example, only use coasters drinks and wipe up liquid spills immediately. But if your granite is already stained, do not just opt for the usual and generic stain removers. This is especially true with bleach or oxygenated bleach. Why? Well, it is because you might only create a bigger, deeper problem. Just keep in mind that the methods and/or products for cleaning stained granite countertops vary depending on the cause of stains. Hence, it is ideal to consult an expert. 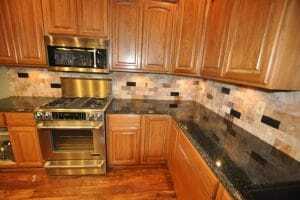 Do you want to learn more about taking good care of granite countertops in Dallas? Contact us here at Hard Rock Imports, and we will provide you with no obligation estimate. We are just a phone call away!